As Swiss watch manufacture IWC Schaffhausen marks its 150th anniversary this year, Singapore recently became its focus for nearly two weeks when the Lion City hosted a major exhibition chronicling its history in fine watchmaking as well as showcasing the new limited edition Jubilee collection. 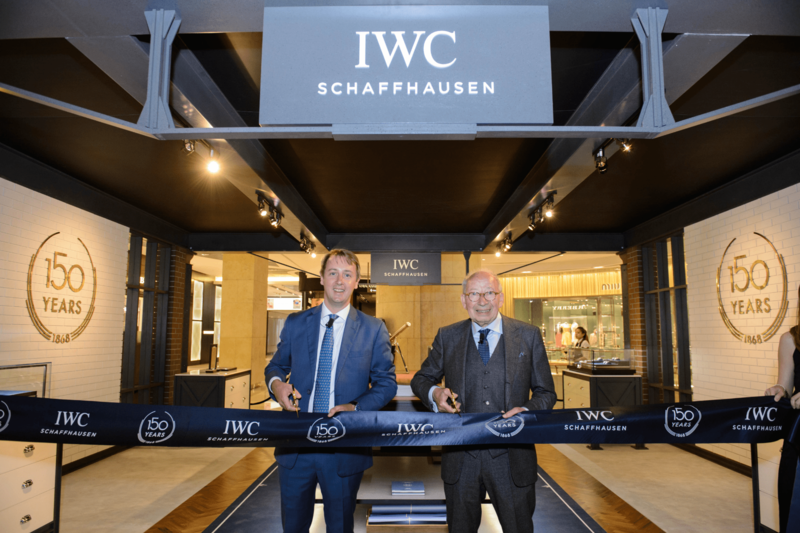 The opening at ION Orchard on May 2 was officiated by none other than Kurt Klaus, the legendary watchmaker who created IWC’s famous perpetual calendar module, and Stanislas Rambaud, managing director of IWC South East Asia. The next evening, the celebration continued with a waterfront cocktail party at Cargo 39, an industrial warehouse that has been transformed to resemble the manufacture’s workshop in the early days.